In our house, everyone begs for chicken on the barbecue. It adds that extra burst of flavour! 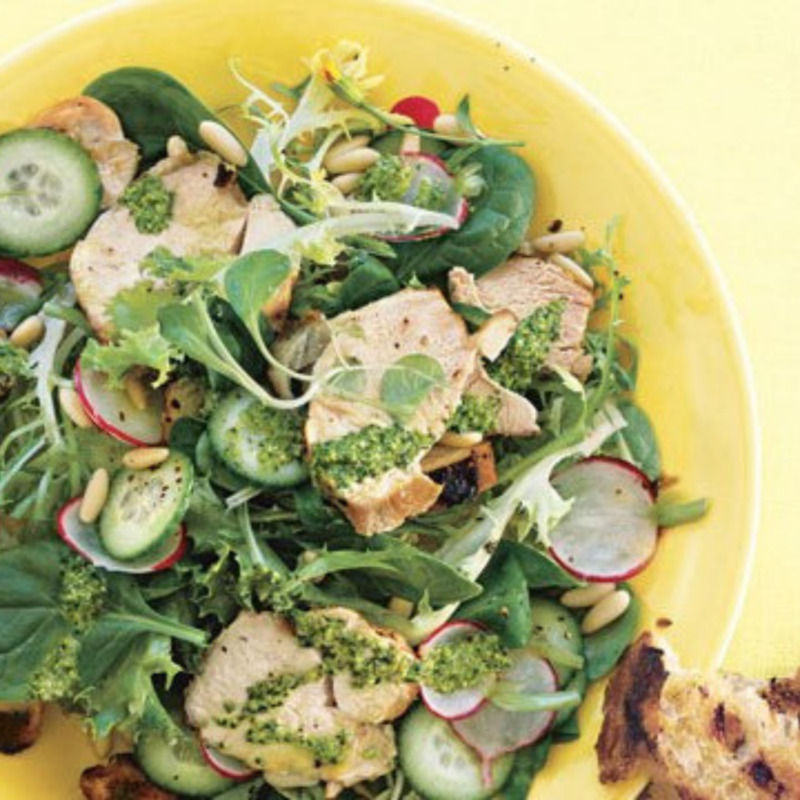 Colourful and delicious, this lemony veggie-filled salad ticks all the boxes! Marinated chicken is a classic in our household. We love giving it that extra special kick by topping it with fresh garden vegetables. This one’s perfect for busy nights when everyone gets home late from work or after-school activities! In our house, anything that can be made in under an hour is pure gold. 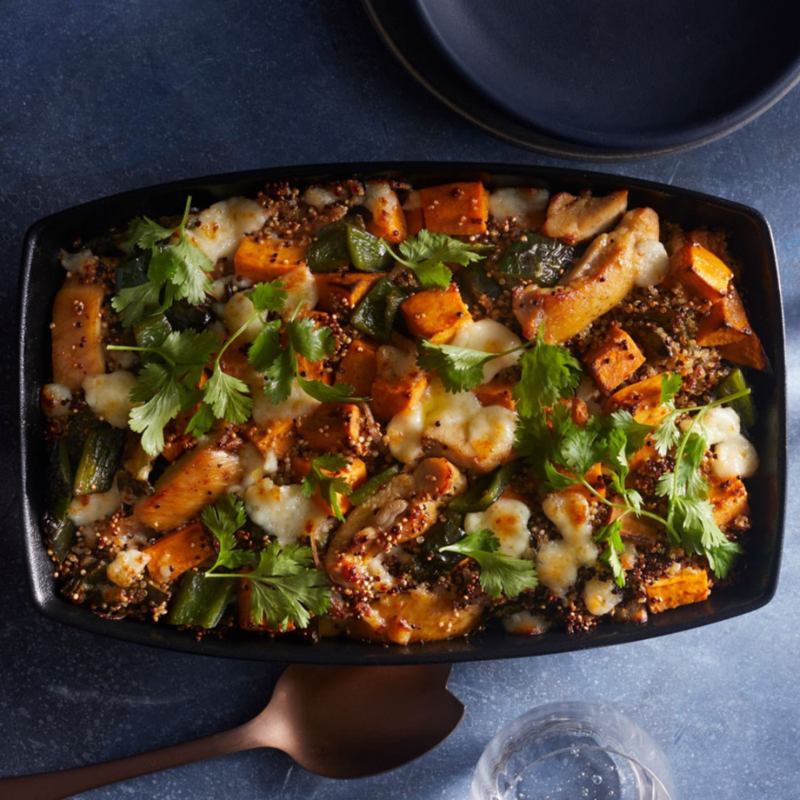 It’s especially nice when all of the ingredients pretty much make it onto one pan. Colourful, fresh, and inviting, this delightful dish is a household favourite. One-pan chicken dinner? Count us in! 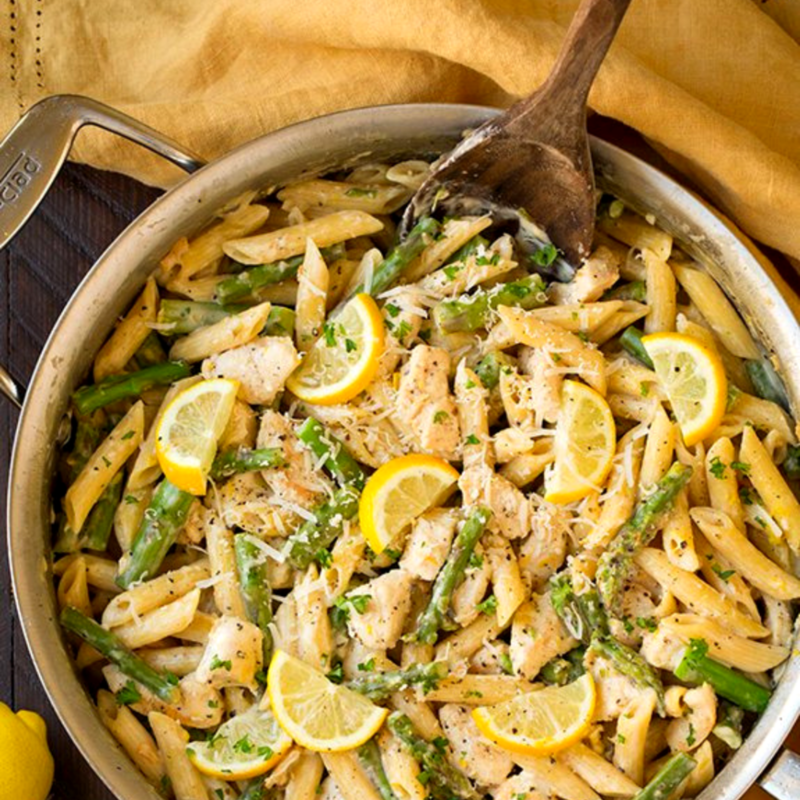 Lemony chicken and pasta sprinkled with asparagus, yup, this one’s a crowd pleaser. Make this dish ahead of time and pull it out for easy reheating. Spragg’s Meat Shop sells more than pork. We carry delicious meats and delicacies from other local farmers and producers we love! Bowden Farm Fresh Chickens are raised in Bowden, Alberta without the use of antibiotics, growth hormones, preservatives, or animal by-products. We carry everything from whole chickens and boneless breasts to ground chicken and chicken sausage. Visit us at one of our meat shop locations in Calgary or Rosemary, or stop by the Calgary Farmers’ Market to shop our selection of Bowden Farm Fresh Chicken products.